Cost for four days of trainings, seminars and parties, including the fitness concert, live concert with Sean Paul, fashion show, ZIN Soiree (theme party) $460 (approx £310). Did not include pre-event classes pool party (free) or after party (around $15). 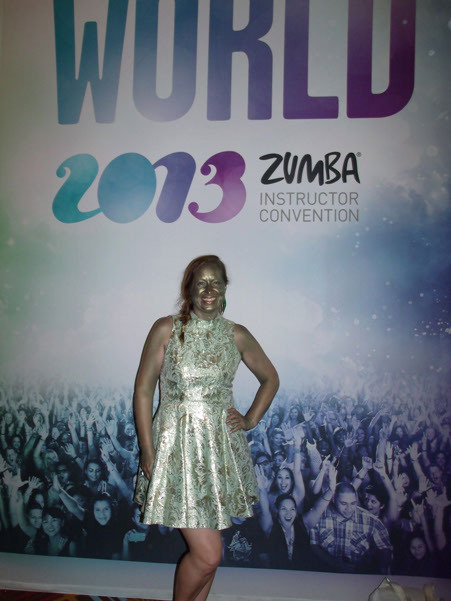 If you like Zumba it's worth becoming an instructor just to do this. With 8,000 people it still felt surprisingly intimate and I feel, with the magic of Florida, I managed to bump into all the right people at the right time, and I left feeling acutely just how much I have got out of doing the thing I love, learning just how much I was getting right, what I was doing wrong and ultimately feeling just how much more I have left to give. After 3, 4 (which felt like 2 weeks) days the ZIN Soiree was jaw dropping. Unlike London everyone here got the idea, and 8,000 people worked the theme. Un… be…liveable. The Convention is spread between the OCC, Hilton, Peabody and Rosen Centre Hotel, and so sometimes there is a lot of walking (and running) to and from sessions/your room/the shops, but one thing I learnt at the end was a cab ride from one end to the other is less than $10. Worth thinking about.